Logistics managers are being urged to seek absolute clarity over forklift Thorough Examinations, after it was revealed lift trucks are involved in 50% more serious accidents than HGVs. Although forklift trucks are not subject to an MOT, as HGVs are, they do require a Thorough Examination under both LOLER and PUWER, so the importance of carrying out this examination to the highest standard is critical to the industry and all those working in it. CFTS believes this lack of clarity surrounding how often lift truck examinations are carried out and documented can leave managers confused – potentially placing employees at risk. At the recent National Fork Lift Safety Conference, the HSE revealed there are around 1,300 serious forklift accidents each year – 50% more than HGVs. CFTS has therefore advised organisations to ensure their lift trucks are inspected to a safe, rigorous standard satisfying both LOLER and PUWER requirements – and to treat the issue as seriously as inspecting vehicles on the road. CFTS Chairman Geoff Martin says: “Every logistics or transport manager worth their salt knows exactly how their HGVs and PSVs are inspected and maintained. But the truth is, your lift truck is far more likely to be involved in a lifechanging accident – and to have its inspection regime questioned by the HSE. “Ironically, satisfying your fork lift Thorough Examination duties is actually far easier than for HGV inspections. 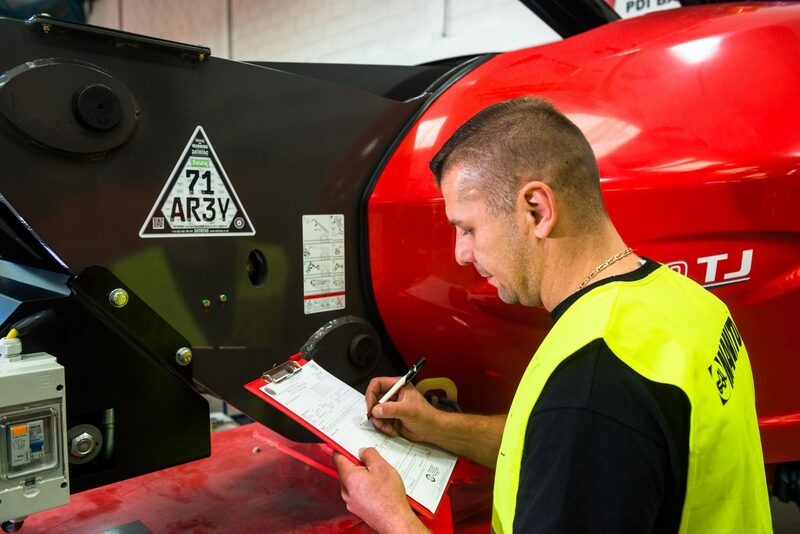 Whereas HGVs need to undergo an annual MOT and formal programme of PUWER safety checks, the CFTS Thorough Examination for lift trucks covers LOLER and PUWER in one quality-assured process. “What’s more, if you have your Thorough Examination carried out by an experienced lift truck specialist, you can have any faults fixed there and then – instead of waiting for a retest, like you would with an HGV. For employers, that means fewer disruptions and lower maintenance costs. Established in 2004, CFTS is the fork lift truck industry’s own voluntary standard for Thorough Examination. Accredited providers sign up to a clear code of conduct, and standard inspection methodology, satisfying both LOLER and PUWER standards. And thanks to a growing network of more than 400 accredited companies, Thorough Examination has never been easier to arrange. To learn more about Thorough Examination, or to find the nearest details of your nearest CFTS accredited company, visit www.thoroughexamination.org or call 07730 768668.